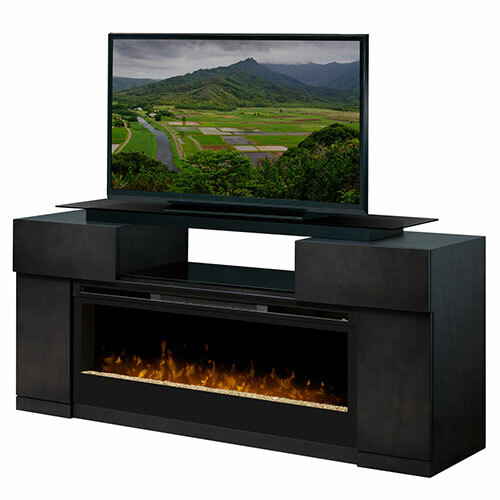 Our Products: Media / TV Electric Fireplace Packages > Media / TV Electric Fireplace Packages 32" - 36"
The Concord adds sophistication to any room with its modern, warm grey finish and strong, smoked glass bridge top that elevates the video display. Linear in shape and artfully designed, this unit features the stunning BLF50 firebox with crushed glass ember bed that is sure to make an eye-catching statement in your room. With open and closed storage, it is also equipped with an IR repeater system that allows you to control your electronic components that are stored behind the closed doors. This beautifully designed unit is sure to be the centre of attention in any room. The BLF50 is a fireplace like no other. 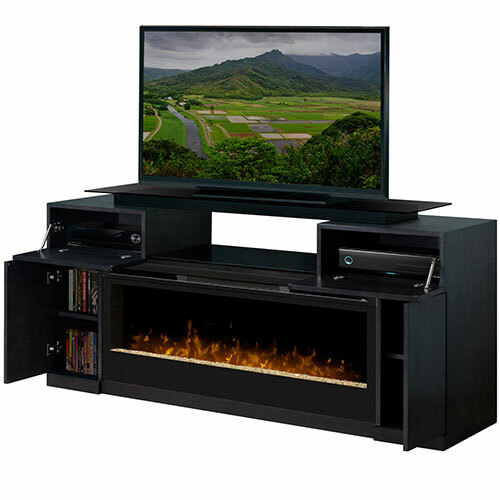 The large 50 inch width viewing area, attractive black finish, incredible patented flame technology and beautiful glass ember bed makes this fireplace a must have for any home. 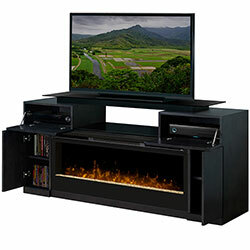 The Synergy wall mount fireplace offers comfort, ambiance and style and is sure to be the most talked about piece in any room. Console Weight - 327 lbs.